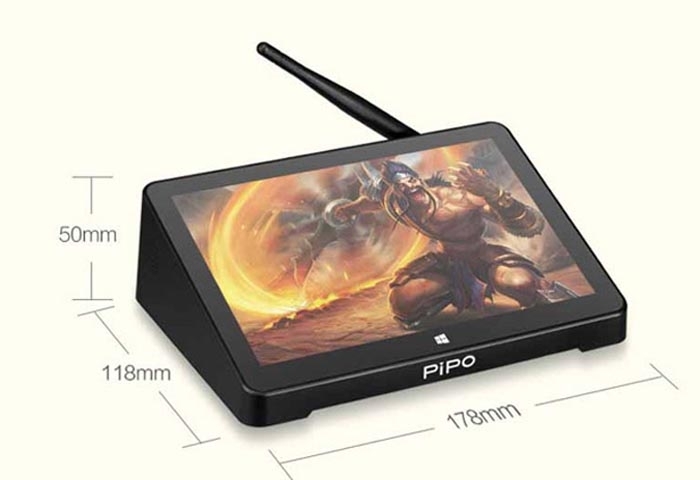 The tablet of PIPO has developed very quickly from an unknown brand to a popular one in the market at home and abroad, and the one of the reasons for this situation is the product of the TV box, which is the best choice for the customers not only for work, but also for entertainment that the functions of the tablet have also applied on the Mini PC like the PIPO X8 Pro. The X8 Pro is one of the popular models with the reasonable price that everyone can afford to buy one. Although there is not many models to choose, each model with at least three choices with the different plug such as US, UK and EU Plug like the PIPO X9S, and we will also send an adapter with the package to make the customers charge it easy and convenient according to the address they provided. There are many review articles about the X8 Pro, and the main theme is about the configurations. It is equipped with a 7.0 inch screen that will not take much space to put it and you can move it from one place to another in your home while the PIPO X12 is equipped with a 10.8 inch screen, but both of them are mainly design for entertainment in home with unique design. As for the other information, it featured with Intel Z8350 processor plus Win 10 and Android 5.1 that the running speed is amazing and unforgettable although it is just equipped with 32GB ROM with the help of the functions such as HDMI and WIFI etc. like the PIPO P10 tablet. More detail information, please look at here：https://www.pipo-store.com/buy-pipo-tablet.html.